Last updated July, 2018. Scroll down to find free internet safety posters. Back in the days when technology lived in a computer lab, students were often advised on the narrow topics of cyber safety/internet safety as well as cyberbullying. While still vital concepts, changes in technology use have given rise to a broader range of important concepts such as digital reputation, etiquette, copyright, health and wellness, and more. 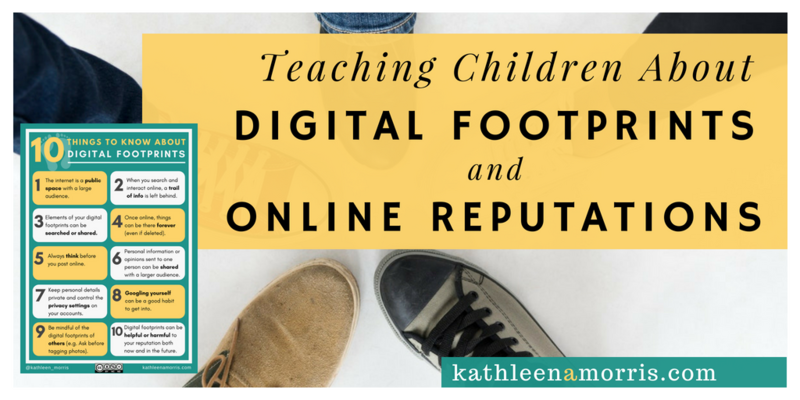 These concepts are generally now defined as coming under the umbrella of digital citizenship. 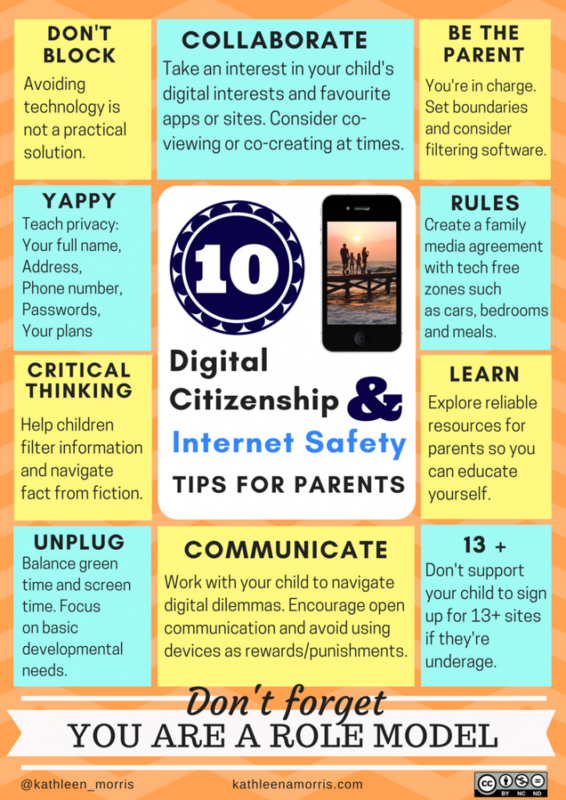 I have also written a post about communicating with parents on the topics of technology use, digital citizenship and internet safety. Want to learn more about digital footprints? 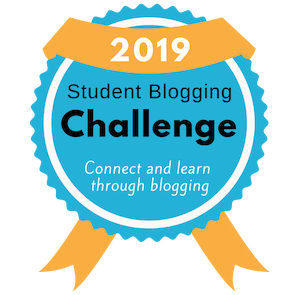 Check out this 2018 post that breaks down how to cover this important topic in the classroom. Our teachers and schools need guidance too! 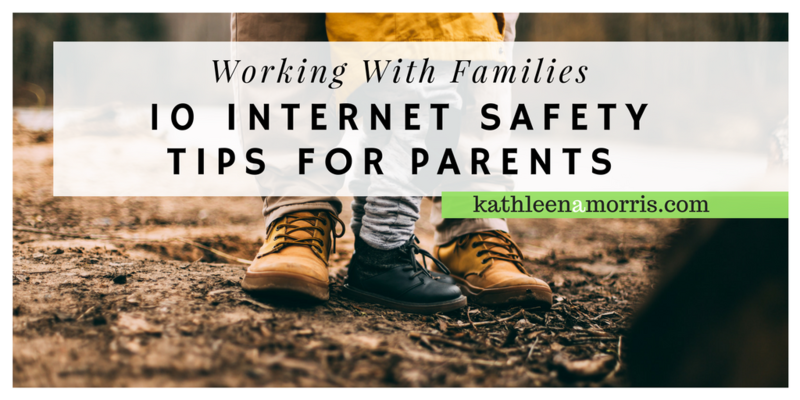 Check out this July 2018 post with tips about internet safety and personal online conduct. 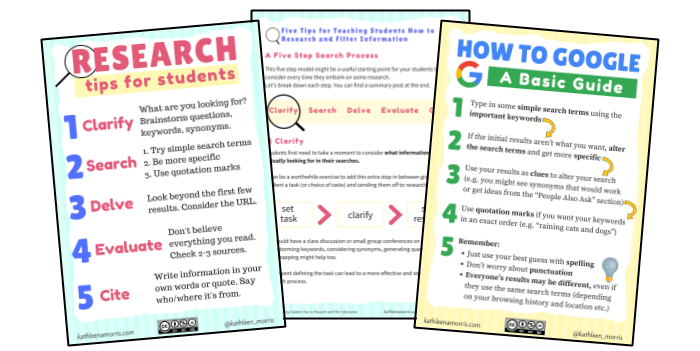 These four posts all contain posters (PDF and PNG) which you are free to display, print, or share. 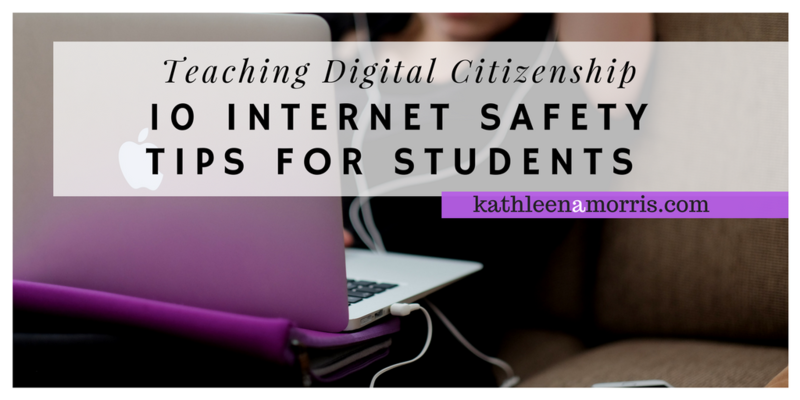 If you’re interested in things like digital citizenship tips, you might be interested in my free monthly email newsletter. I showcase the blog posts I’ve written and also share other useful links, tips, or resources I’ve come across. As usual, you have created clear and simple to use materials for our classrooms, school, and even home now! The tips are fantastic and the posters are simple and will be really effective I think. 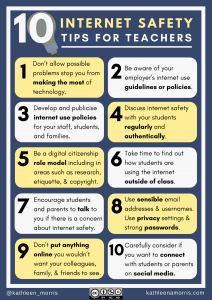 In the teacher’s poster, I love your tip about teaching internet safety authentically. It has to have a place in the real world for it to make sense to students. In the parent’s poster, my favourite tip is to remind children that not everything you read on the internet is true. We used this video and this list of fake websites recently in the classroom and we fooled MOST of the class! My favourite tip from the student’s poster is the YAPPY acronym. I have never heard it before and I will be sharing it with my class this week! 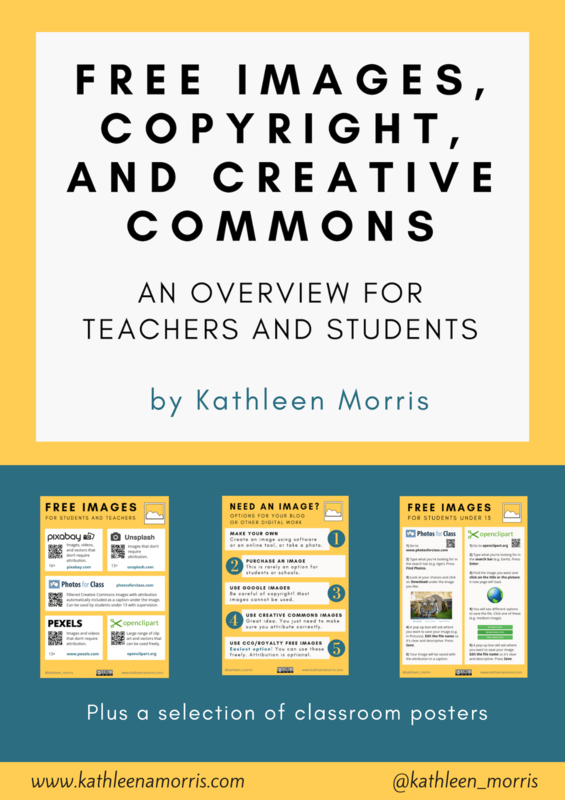 Thanks again for great resources and thoughtful posts! I hadn’t seen those resources before for teaching about not believing everything you see/read. I have put them in my Diigo and will be sure to use them! I’m Stephanie Gomillion, an EDM310 student at the University of South Alabama. I think you did a great job on the posters! My favorite tips came from the parent poster. The YAPPY tip I’ve never heard of before, that’s a pretty neat idea. 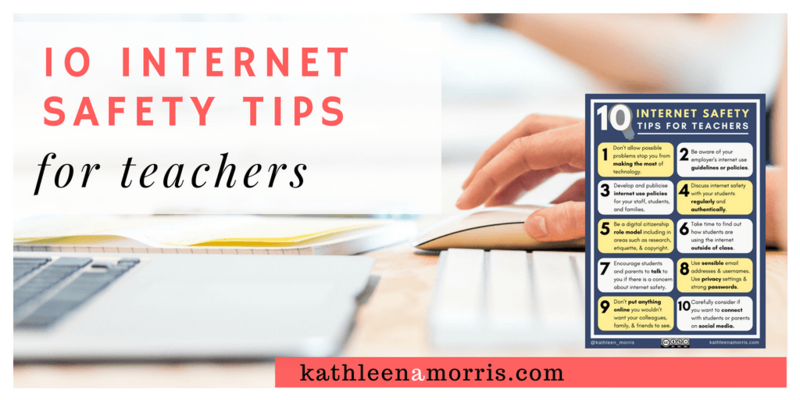 The tip on not allowing children to spend all of their free time online is a super good tip!!! Lastly, not allowing children to make accounts on websites that aren’t age appropriate is another great one; I feel like some teachers forget about things like that and have their students make accounts for instagram and such. Great to hear from you! YAPPY certainly is a useful acronym to use in the classroom. It is quite sad when you see a lot of children spending nearly all of their leisure time indoors on the computers. Balance is always good! I think a lot of teachers are quite unaware that many websites come with age restrictions. It’s very important that teachers are educated about this. Hope to hear from you again and good luck with you studies. Hello! Thank you so much for posting these posters. I found them very helpful and informative! 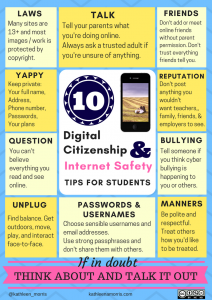 I am about to spend the remainder of the school year teaching a technology class to primary grade students and plan to use this information to help them, myself, and their parents out with their internet safety! 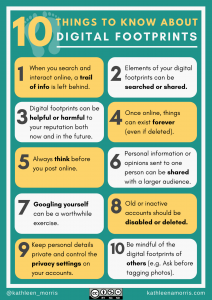 Wonderful set of guidelines for responsible Internet users. As an educator, I am always mindful of my personal behavior on social networking sites and feel it is important for all educators to follow your guidelines as well. I also agree with several others who have liked the acronym YAPPY. Did you coin this yourself, and if so, kudos! What a catchy way to remember what information not to give out. Great job with content and design of the posters, and thank you for sharing them with us. Thank you! I didn’t make up YAPPY. I discovered it on the Professor Garfield site. Not sure if that is where it originated from but it really resonated with my students.